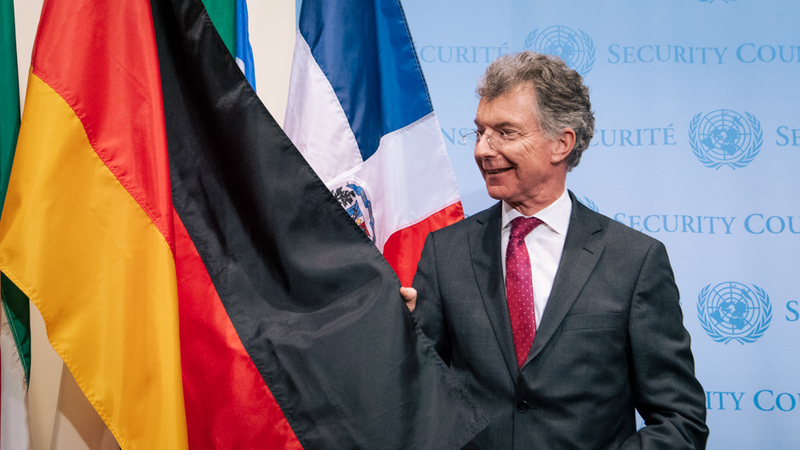 When Germany assumed one of ten elected seats in the UN Security Council on 1 January 2019, it entered a body that reflects the deep crisis of multilateralism and the new competition of the great powers. Germany needs to seize the moment to contribute to the regeneration of one of the cornerstones of the rules-based international order. The UN’s most immediate challenge lies in the “America First” doctrine of the Trump administration, which depicts multilateralism as a threat to US sovereignty. Consequently, Washington has drastically cut its financial contribution to various UN programmes and turned its back on key UN treaties and bodies: the Paris Climate Accord, the nuclear deal with Iran, and the Human Rights Council. However, the crisis of multilateralism is not solely rooted in the foreign policy of the White House. The Trump administration is just the most prominent manifestation of a growing number of nationalistically-minded governments, which view multilateral treaties and norms with great scepticism. The refusal of ten European governments to join the recently concluded Global Compact on Migration is a case in point. Equally disconcerting are the rising tensions between the key veto powers — the US, Russia, and China — which paralyze the Council with respect to crises in Syria, Ukraine, and Yemen. Up to now, the US and Russia constituted the main antagonists. But Washington’s evolving containment policy vis-à-vis China generates concern about deeper upheavals, with potentially dramatic consequences for the UN’s capacity to act. The Security Council’s antiquated structure and procedures contribute to the bleak situation. The configuration of its five permanent members reflects the realities of 1945, not those of today. And the permanent members dominate the Council’s working methods, making it difficult for the elected members to leave a mark. While this state of affairs calls for comprehensive reform, this is a far-fetched prospect given the contentious state of global politics. Berlin has a vital interest in the maintenance of a rules-based order and it possesses the political and economic clout to give weight to its diplomatic initiatives. In light of this multifaceted challenge, great hopes within the UN are invested in Germany. Berlin has a vital interest in the maintenance of a rules-based order and it possesses the political and economic clout to give weight to its diplomatic initiatives. In addition, it has fielded a strong delegation in New York, led by Chancellor Merkel’s former foreign policy advisor Christoph Heusgen. What can Berlin do to strengthen the UN? First, get itself a stick. US President Theodore Roosevelt famously described diplomacy as “speaking softly while carrying a big stick”. By contrast, Germany usually relies on self-restraint in foreign affairs, and tends to wield its “soft power”. But in the Security Council, the fight for votes and positions is a game of hardball. Here Germany needs to seek strength through close coordination with its European partners. For one, Europe, with reference to its own aid flows, could give backing to developing world Council members facing pressure from some permanent members. The early establishment of the special purpose vehicle which, in an effort to save the Iran deal is meant to protect firms trading with Teheran from US sanctions, would show that the EU is, at times, willing to strike back in support of multilateralism. And in the medium term, investments into European defense capacities would help underpin the EU’s position in the Security Council. Second, practice a game of variable geometry. No question, Berlin must aim at a closing of ranks among a liberal community of values. But Germany should also seek to forge theme-specific alliances with less like-minded partners. The “Alliance for Multilateralism” recently launched by Foreign Minister Heiko Maas, could offer a useful framework. One can see elements of such an approach in the cooperation between the EU and China on climate change. And to get traction at the UN, such coalitions increasingly will and also need to include key members from the Global South, not least the new Council members Indonesia and South Africa. Third, foster cooperation among the Council’s permanent members. The Council’s sorry state notwithstanding, it is still far from succumbing to Cold War paralysis. In 2017 alone, it has adopted more enforcement resolutions than in the first 50 years of its existence. This reflects the fact that the permanent members are keen to maintain the functionality of the Council in areas where their interests align. This also benefits Germany, for instance, when it comes to nuclear non-proliferation, conflict management in Africa, or counter-terrorism. Germany will no doubt look for opportunities to support and strengthen such cooperation wherever possible. The worldwide successes of nationalist parties make it clear that many governments have neglected to effectively communicate to their publics the value of multilateral engagement and the UN. Fourth, challenge the predominance of the powerful five in the Council. Germany is well-positioned to help loosen their stranglehold on the Council. It can create pressure by fostering greater coordination among the elected Council members — if seven of them deny their vote, they can prevent the adoption of a resolution. And Berlin could contest the Council’s noxious practice under which the permanent members serve as “penholders” producing most draft resolutions. For instance, on the issue of Ukraine, Germany could credibly play a leading role. Fifth, nurture public support for enhanced UN engagement. The worldwide successes of nationalist parties make it clear that many governments have neglected to effectively communicate to their publics the value of multilateral engagement and the UN. Berlin, too, needs to become more active in this regard as the success of the campaign against the global compact on migration shows. A visit by the chancellor to New York during Germany’s month-long Council presidency in April would send a strong signal. The recent initiative by French President Macron of an annual “Public Peace Forum” gathering stakeholders from around the world on how to tackle global challenges might also serve as inspiration. In Germany’s political rhetoric, the UN enjoys a high status — now Berlin can offer a concrete contribution to strengthen the world organisation during a critical time. This is not a bureaucratic exercise in far-away New York but in Germany’s fundamental interest. This article was originally published in German in Sueddeutsche Zeitung on 27 December 2018.